I welcome you to the website of the Association of Ghanaian Lawyers of America (AGLA) and I thank you for visiting. You will find here basic information on who we are, what we do and how you can help. You will also find our mission statement, our constitution, news and events, and other useful resources including how to contact us. We want to hear from you and we welcome your comments. AGLA was incorporated in December 2008. AGLA hopes to galvanize Ghanaian attorneys in the US for their own professional benefit, to become the dominant link between the US and Ghana for the mutual benefit of both countries, and to advocate for the advancement of Ghana and Ghanaians in the US. More fundamentally, we look forward to helping members of our community access and navigate the complex US legal system and we welcome your thoughts and contributions on how we can make AGLA a more formidable association. 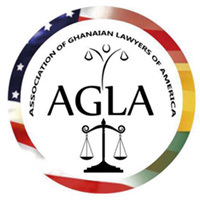 The Association of Ghana Lawyers of America (AGLA) is set up to provide a forum for Ghanaian Lawyers in the United States to address matters relevant to their profession, to advocate and support the advancement of Ghana and its people while serving as a dominant link between Ghana and the United States. We serve and we give. 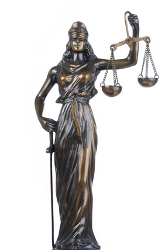 It is our objective to provide legal services to people who need legal help in our community as well as prvide resources to Ghanaian attorneys in the United States. Contact our referral service if you need legal advice on any issue and we will be glad to link you up with an experienced attorney inthe field.